Anticipating :: School Holidays!!! The Winter break is probably my favourite in terms of relaxation – sure summer holidays are long and relaxing too but the cold weather gives us permission to have jammie days where we don’t have to leave the house for anything! This holidays, I’m going to make us all some new flannelette jammie pants just so we have to lounge around and wear them! 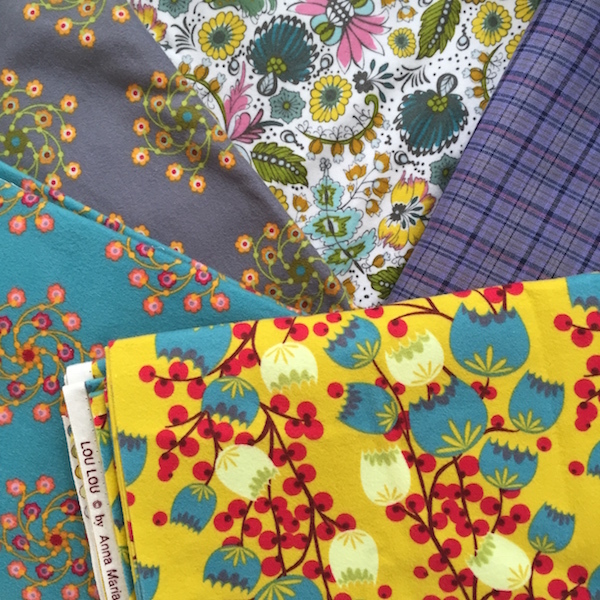 (Four pairs of Anna Maria Horner Flannel and a pair for the Mr in a cotton plaid from ModernQuiltStudio). Celebrating :: participants in my classes who give themselves over to the process and place their trust in me to help them free up their creativity. Wishing :: I’d taken photos of their efforts! 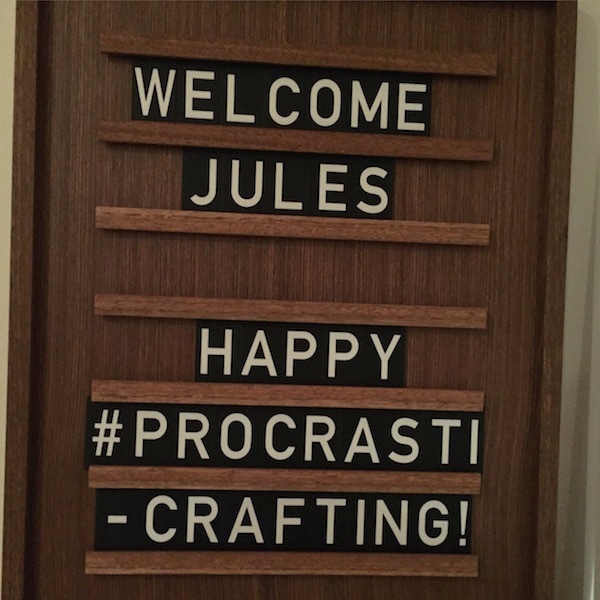 Thanking :: a gorgeous, kind and generous friend and her equally lovely family for hosting me. Their hospitality has been such a gift. Also for organising drinks with the outrageous Vee! Such fun hanging out with those two over the weekend – although some topics of conversation have left mental imprints I could do without! 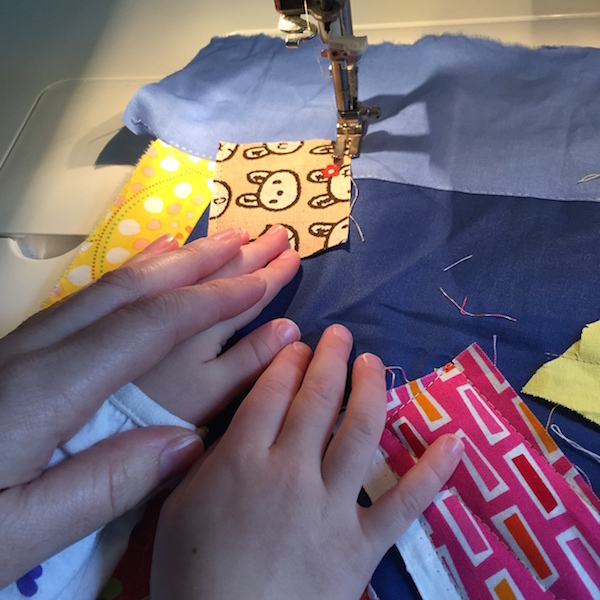 Sewing :: with the smallest of my smalls, those little hands kill me with the cuteness! She’s only three but she loves nothing more than sitting on my lap and guiding fabric under the needle. Eating :: Brisket – I change the recipe around each time I cook it as not all the ingredients are readily available here and I’m not very good at following recipes (a bit like sewing patterns, or any instructions really) but oh my this is sooooooo good! Reading :: aside from the airplane magazine… nothing at all… must remedy that, I need a good novel recommendation??? You can grab that little button and add it to your blog too if you like – just take the code from the sidebar there on the right. 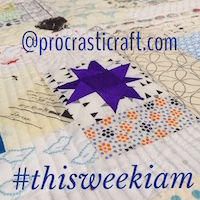 This entry was posted in #thisweekiam, family, Friends, linkup, this week I am on June 23, 2015 by procrasticraft. I am reading and loving ‘Still Alice’. It is just beautiful and so thought provoking…. Everyone has to read it! Thanks Dawn! I’ll keep an eye out for it! Oh yes! The Potato Peel has been recommended to me before – thanks for the reminder!!! Will try to find my copy, but need it back as Mum gave it to me. Have another book I must read before I next see her. Our family does all present shopping in bookshops. Love reading other suggestions. Thanks for your kind offer, I’m a bit click happy and already ordered it so its winging its way here! I’m heading to PaperChain over the weekend to look for some more of the ideas. Have you been to the NPG book shop? They have gorgeous gift books there.